You are proud of the products or services you bring to the marketplace. You know in your heart that they will bring your prospective clients many times the return on investment they make with you. And yet, they throw the oldest and the most well-known objection in the history of buying and selling: "Your price is too high." There is a whole cottage industry out there that teaches you how to "handle stalls and objections." But what if there was a way to make sure that the pricing objections do not happen at all in your selling process? 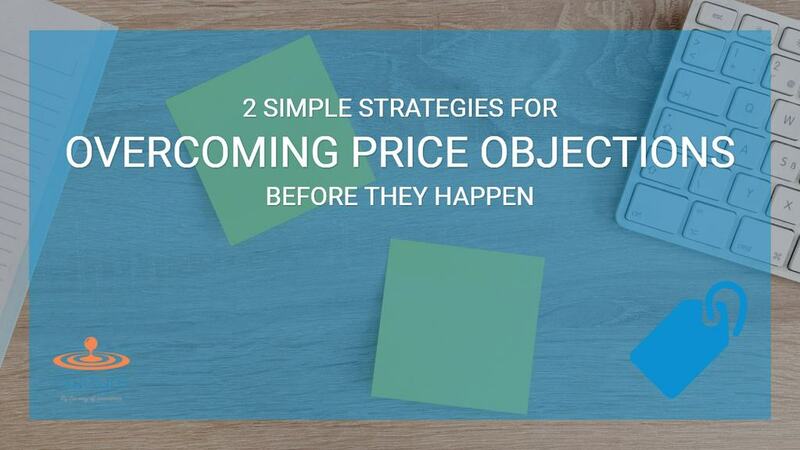 Read on because I think that there is not just one but two ways that a business and a selling professional can eliminate pricing objections. "Our prospects pay our high prices without complaints." There are two places in the buying process where your prospective customers will think of price as an issue. 1. Before they meet you face-to-face, while being exposed to your business and its message in some form. At this stage, pricing will become an issue if you are easily comparable to your competition's products are services. If you want to make the pricing issue irrelevant, you must be meaningfully different from your competitor's offerings. To begin the process of finding your Meaningful Difference, answer this simple question: What’s one thing that your business does that no one in the world can as well as you do. The answers may not come quickly, but the question will get you thinking. The answers to this question are key to finding out your Meaningful Difference. Once you know your meaningful difference, all you have to do is build it into your marketing literature and in your conversations with prospects. True of False? : "Our prospects pay our high prices without complaints." 2. When they are about to do business with you in the selling process. A typical problem at this stage is that the selling process is intellectually driven. People buy emotionally first, then they back up that decision with intellectual rationale. If you are not addressing the emotional needs of your prospects in your selling process, you will face pricing fights. To find your prospects’ emotional reasons for doing business with you, ask gentle yet probing questions about their issues, challenges, and problems while looking for signs that the prospect is emotionally involved with the problems or situations she is facing. "If you are not addressing the emotional needs of your prospects in your selling process, you will face pricing fights." After they get into a one-on-one dialogue with you, by making sure that it focuses more on their emotional reasons to buy, not intellectual.